A disastrous evening for Chester as they slumped to a 6-0 defeat to Stockport County – who moved to the top of the table – at the Swansway Chester Stadium. Former Chester man Nyal Bell and midfielder Sam Walker both grabbed a brace, with Darren Stephenson and substitute Jordan Keane also on the scoresheet for the away side. On the 10 minutes mark the visitors opened the scoring, Bell got his first of two, the easiest goal he’ll have all year after Adam Thomas’ header found the frontman a yard out with an empty net. Moments after the restart, Matthew Warburton’s run ended in a shot blocked to the feet of Thomas, whose tame effort was easily saved by Grant Shenton. However, 10 minutes after they netted the first, Stockport were on the scoresheet again, a real team goal ended in Warburton squaring it to Walker and his deflected shot flew past a helpless Shenton. 12 minutes before half time, Bell got his brace against his former club, a lovely first time through ball by Warburton who notched his second assist, and a hand from Shenton couldn’t stop the number nine’s effort. 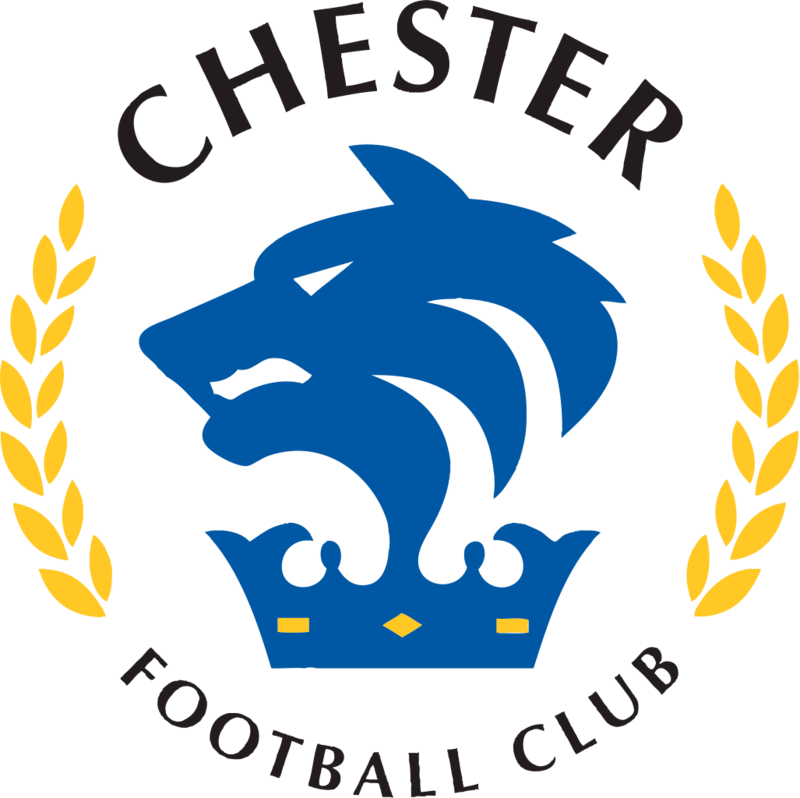 In the remaining minutes of the first half, Chester showed their fight, Danny Livesey having two bites of the cherry from a Gary Roberts free kick, both blocked in a goalmouth scramble. Just before half time a well-worked move resulted in Simon Grand’s header being blocked just yards from goal after a wonderful delivery from Matty Waters. Chester started the first half well, a lovely run from Jackson who fed in Akwasi Asante, but his left foot effort was blocked well by the Stockport defence. An immediate response from the away side as Thomas’ through ball found Sam Minihan, his effort saved strongly by Shenton from close range. Craig Mahon tried to get Chester going, a mazy run passing two Stockport defenders, but his left-foot shot was fired in to the Harry McNally terrace. Chester’s best chance of the game fell to substitute George Waring, an inch-perfect cross from Roberts ended in a point blank save from Hinchcliffe. Bell should’ve had his hat-trick before taken off in the second half, blasting over from six yards after Thomas crossed in. Moments later Stockport made it four, Stephenson getting a well-deserved goal with a finely placed, left-foot effort which flashed past Shenton. Ten minutes from time, the visitors were awarded a penalty, Livesey brought down Stephenson as he was through on goal. Walker scored his second penalty of the season against Chester, and his second of the game. Substitute Jordan Keane grabbed the last goal from the edge of the box, which trickled past the helpless Shenton. 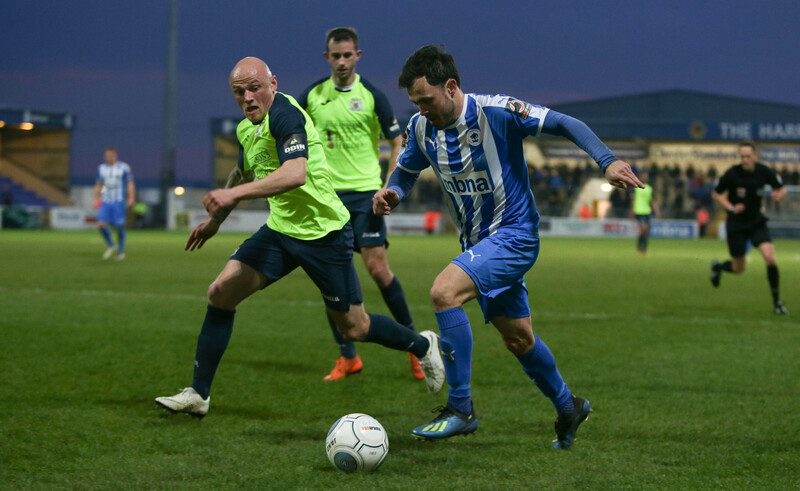 The result has left Chester four points off the play-off places, with four games left to play in the National League North season. Stockport XI: Hinchcliffe, Minihan (61), Duxbury, Turnbull, Palmer, Stott, Thomas, Walker, Bell (78), Warburton (55), Stephenson. Subs: Cowan (61), Ormson, Keane (55), Osborne (78), Gilchrist. Match Report by Cameron McManus.